Real Ale Brewer’s Cut series are brewing projects that they consider their “Research & Development” program. Before this site was created I did have the pleasure of having Brewer’s Cut No 001, Signature Hop Pale Ale, which was brewed with Herkules hops. I have also had No 002, a 10.8% Black Quadrupel, adding Belgian Black Malt to the traditional Belgian Quad style. Both of these beers were excellent to say the least. What we have here is a review of No 003 and 004 together in one review. As of right now, Real Ale is on No 008, so I have a little catching up to do. I’m hoping I can still get my hands on some of these. No 005 is in my fridge waiting consumption, but I do need to seek out Numbers 006, 007, and 008. I really do hope you enjoy these reviews, and I hope you can still get your hands on any of the Brewer’s Cut Series. Poured into a porter/stout glass, this beer was an opaque damn near black color with a thin tan head which retained and left plenty of lacing on the way down the glass. I love what I get here with the aroma of this beer. It’s hoppy, yet still roasty. For me the hops were the main character here, and right up front. They gave this porter a light fruity, floral aroma, which was a bit odd coming from a porter. The back end of the smell, my nose gets hit with flavors of chocolate and roasted malts. Others might find this mixture a bit off, but for me, I rather enjoyed this combination in my nose. The taste followed the nose, pretty much. First intake of the beer, my palate is hit with the fruity, floral tastes from the Amarillo hops used to dry -hop this beer. Chocolate, caramel, and roasted malt flavors follow. The combination of the hops and porter characters leave a unique aftertaste, like a floral, citrusy coffee. Again, I found this combination to work perfectly together, but then again I like odd, experimental stuff. The body was a medium-heavy thickness, with a creamy, easy to swallow body. This one left a bit of a dry feel afterwards, leaving the taste of the “hopped coffee” lingering a bit. There is a good, decent carbonation bite as well. Overall, I really hope they bring this beer back for their normal rotation. I am definitely a fan of this guy. Using my Guadalupe Brewing Company pint glass, this beer poured a nice looking reddish brown color with a thin layer of white bubbly head. The head quickly disappeared, but it would leave a small amount of spotty lacing down the glass. Here we have another hopped up beer by Real Ale. The aroma is all hops up front with smells of tropical fruit, pine, and some citrus. There are some characteristics of the Red Ale seeping through here with hints of caramel, and sweet sugar. The main thing here though are the hops. They do overpower any other smells that are trying to come though. Not necessarily a band thing to someone like me, who is a hop head. The taste again, follows the nose here, but it does seem to play with your palate a bit, going back and forth between the malt and the hop flavors. upon sipping the beer, the tropical fruit, citrus hop flavors hit the palate first, then in mid drink it seems to jump to a sweet sugary, caramel taste. For me though, the hops are what linger a bit in your throat afterwards. The body is of medium thickness with light carbonation. This one is a bit oily and slick, and easy to drink for sure. For me, this one left a bit of the slickness on the tongue after the drink. Again, Real Ale hits another home run with this experimental beer, as with the other Brewer’s Cut Series beers I have had. I am really a true fan of Real Ale and their beer. Cheers guys for another winner! 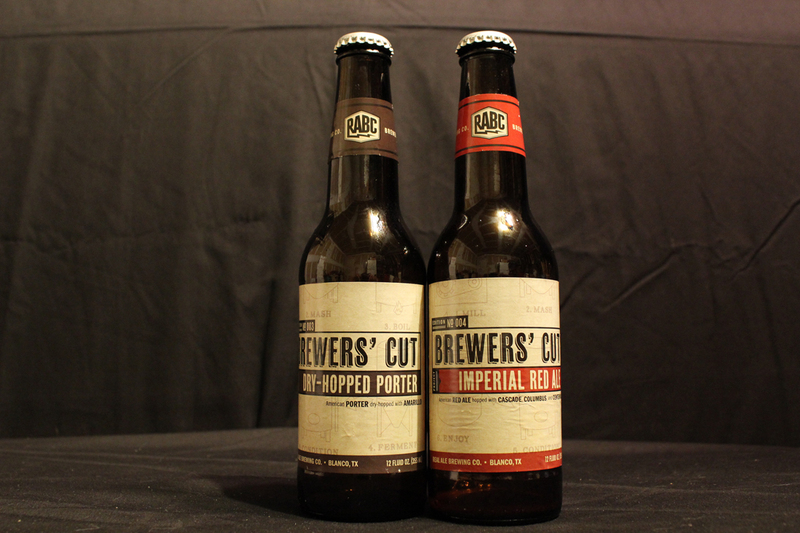 Metal Connection: I look at the Brewer’s Cut Series as a family, and these two guys are brothers, in my opinion. When it came time for me to choose a Metal Connection, I went with a band that featured a brother duo in it. How about a little Sepultura for you all? Oh hell yes! Since both of these beers are top notch, I went with a song that I love very much done by Sepultura. This one is a cover song, originally done by the mighty Motorhead. When this song comes on the Sepultura live video, “Under Siege (Live in Barcelona)” it just looks like these guys are having the time of their lives being in this band, but then again that was in 1991 when the band was at one of their highest moments after their Arise album. Feel free to crank up your speakers to 11, and mosh around your room, as I do every time this song comes on! I am the one, BeerMetalDude!